Oman ( /oʊˈmɑːn/ oh-MAHN; Arabic: عمان ʻumān [ʕʊˈmaːn]), officially the Sultanate of Oman (Arabic: سلطنة عُمان Salṭanat ʻUmān), is an Arab country on the southeastern coast of the Arabian Peninsula in Western Asia. Holding a strategically important position at the mouth of the Persian Gulf, the country shares land borders with the United Arab Emirates to the northwest, Saudi Arabia to the west, and Yemen to the southwest, and shares marine borders with Iran and Pakistan. The coast is formed by the Arabian Sea on the southeast and the Gulf of Oman on the northeast. The Madha and Musandam exclaves are surrounded by the UAE on their land borders, with the Strait of Hormuz (which it shares with Iran) and Gulf of Oman forming Musandam's coastal boundaries. From the late 17th century, the Omani Sultanate was a powerful empire, vying with Portugal and Britain for influence in the Persian Gulf and Indian Ocean. At its peak in the 19th century, Omani influence or control extended across the Strait of Hormuz to modern-day Iran and Pakistan, and as far south as Zanzibar. As its power declined in the 20th century, the sultanate came under the influence of the United Kingdom. Historically, Muscat was the principal trading port of the Persian Gulf region. Muscat was also among the most important trading ports of the Indian Ocean. Oman's official religion is Islam. Oman is an absolute monarchy. The Sultan Qaboos bin Said al Said has been the hereditary leader of the country since 1970. 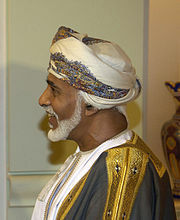 Sultan Qaboos is the longest-serving current ruler in the Middle East, and third-longest current reigning monarch in the world. Oman is a member of the United Nations, the Arab League, the Gulf Cooperation Council, the Non-Aligned Movement and the Organisation of Islamic Cooperation. It has modest oil reserves, ranking 25th globally. Nevertheless, in 2010 the UNDP ranked Oman as the most improved nation in the world in terms of development during the preceding 40 years. A significant portion of its economy involves tourism and trade of fish, dates, and certain agricultural produce. This sets it apart from its neighbors' largely oil-dependent economies. Oman is categorized as a high-income economy and ranks as the 70th most peaceful country in the world according to the Global Peace Index. In recent years known primarily from survey finds, Palaeolithic and Neolithic sites have come to light most on the eastern coast. Main Palaeolithic sites include Saiwan-Ghunaim in the Barr al-Hikman. Archaeological remains are particularly numerous for the Bronze Age Umm an-Nar and Wadi Suq periods. Sites such as Baat show accomplished wheel-turned pottery, excellent hand-made stone vessels, a metals industry, and monumental architecture . The Early (1300‒300 BC) and Late Iron Ages (100 BC‒300 AD) show more differences than similarities to each other. Thereafter until the coming of the Ibadhidya little or nothing of is known. In the 1970s and 1980s scholars like John C. Wilkinson believed by virtue of oral history that in the 6th century BC, the Achaemenids exerted control over the Omani peninsula, most likely ruling from a coastal center such as Suhar. Central Oman has its own indigenous Samad Late Iron Age cultural assemblage named eponymously from Samad al-Shan. In the northern part of the Oman Peninsula the Recent Pre-Islamic Period begins in the 3rd century BCE and extends into the 3rd century CE. Whether or not Persians brought south-eastern Arabian under their control is a moot point, since the lack of Persian finds speak against this belief. Four centuries later, Omanis came in contact with and accepted Islam. The conversion of Oman is usually ascribed to Amr ibn al-As, who was sent by the prophet Muhammad during the Expedition of Zaid ibn Haritha (Hisma). After deposing his father in 1970, Sultan Qaboos opened up the country, embarked on economic reforms, and followed a policy of modernisation marked by increased spending on health, education and welfare. Slavery, once a cornerstone of the country's trade and development, was outlawed in 1970 as well. Inspired by the Arab Spring uprisings taking place throughout the region, protests also occurred in Oman during the early months of 2011. Although they did not call for the ousting of the regime, demonstrators demanded political reforms, improved living conditions, and the creation of more jobs. They were dispersed by riot police in February 2011. Sultan Qaboos reacted by promising jobs and benefits. In October 2011, elections were held to the Consultative Assembly, to which Sultan Qaboos promised greater powers. The following year, the government began a crackdown on internet criticism. In September 2012, trials began of 'activists' accused of posting "abusive and provocative" criticism of the government online. Six were given jail terms of 12–18 months and fines of around $2,500 each. The peninsula of Musandam (Musandem) exclave, which has a strategic location on the Strait of Hormuz, is separated from the rest of Oman by the United Arab Emirates. The series of small towns known collectively as Dibba are the gateway to the Musandam peninsula on land and the fishing villages of Musandam by sea, with boats available for hire at Khasab for trips into the Musandam peninsula by sea. Oman's other exclave, inside UAE territory, known as Madha, located halfway between the Musandam Peninsula and the main body of Oman, is part of the Musandam governorate, covering approximately 75 km2 (29 sq mi). Madha's boundary was settled in 1969, with the north-east corner of Madha barely 10 m (32.8 ft) from the Fujairah road. Within the Madha exclave is a UAE enclave called Nahwa, belonging to the Emirate of Sharjah. Situated about 8 km (5 mi) along a dirt track west of the town of New Madha, consisting of about forty houses with a clinic and telephone exchange. The central desert of Oman is an important source of meteorites for scientific analysis. Like the rest of the Persian Gulf, Oman generally has one of the hottest climates in the world—with summer temperatures in Muscat and northern Oman averaging 30 °C (86.0 °F) to 40 °C (104.0 °F). Oman receives little rainfall, with annual rainfall in Muscat averaging 100 mm (3.9 in), falling mostly in January. In the south, the Dhofar Mountains area near Salalah has a tropical-like climate and receives seasonal rainfall from late June to late September as a result of monsoon winds from the Indian Ocean, leaving the summer air saturated with cool moisture and heavy fog. Summer temperatures in Salalah range from 20 °C (68.0 °F) to 30 °C (86.0 °F)—relatively cool compared to northern Oman. The mountain areas receive more rainfall, and annual rainfall on the higher parts of the Jabal Akhdar probably exceeds 400 mm (15.7 in). Low temperatures in the mountainous areas result in snow cover once every few years. Some parts of the coast, particularly near the island of Masirah, sometimes receive no rain at all within the course of a year. The climate generally is very hot, with temperatures reaching around 50 °C (122.0 °F) (peak) in the hot season, from May to September. Though Oman’s legal code theoretically protects civil liberties and personal freedoms, both are regularly ignored by the regime. Women and children face legal discrimination in many areas. Women are excluded from certain state benefits, such as housing loans, and are refused equal rights under the personal status law. Women also experience restrictions on their self-determination in respect to health and reproductive rights. Oman is an absolute monarchy by male primogeniture. The present Sultan Qaboos bin Said al Said is the hereditary leader of the country since 1970. The Omani government decides who can or cannot be a journalist and this permission can be withdrawn at any time. Censorship and self-censorship are a constant factor. Omanis have limited access to political information through the media. Access to news and information can be problematic: journalists have to be content with news compiled by the official news agency on some issues. Through a decree by the Sultan, the government has now extended its control over the media to blogs and other websites. Omanis cannot hold a public meeting without the government's approval. Omanis who want to set up a non-governmental organisation of any kind need a licence. To get a licence, they have to demonstrate that the organisation is "for legitimate objectives" and not "inimical to the social order". The Omani government does not permit the formation of independent civil society associations. In August 2014, The Omani writer and human rights defender Mohammed Alfazari, the founder and editor-in-chief of the e-magazine Mowatin “Citizen”, disappeared after going to the police station in the Al-Qurum district of Muscat. For several months the Omani government denied his detention and refused to disclose information about his whereabouts or condition. On July 17, 2015, Al Fazari left Oman seeking political asylum in UK after a travel ban was issued against him without providing any reasons and after his official documents including his national ID and passport were confiscated for more than 8 months. There were more reports of politically motivated disappearances in the country. In 2012, armed security forces arrested Sultan al-Saadi, a social media activist. According to reports, authorities detained him at an unknown location for one month for comments he posted online critical of the government. Authorities previously arrested al-Saadi in 2011 for participating in protests and again in 2012 for posting comments online deemed insulting to Sultan Qaboos. In May 2012 security forces detained Ismael al-Meqbali, Habiba al-Hinai, and Yaqoub al-Kharusi, human rights activists who were visiting striking oil workers. Authorities released al-Hinai and al-Kharusi shortly after their detention but did not inform al-Meqbali’s friends and family of his whereabouts for weeks. Authorities pardoned al-Meqbali in March. In December 2013, a Yemeni national disappeared in Oman after he was arrested at a checkpoint in Dhofar Governorate. Omani authorities refuse to acknowledge his detention. His whereabouts and condition remain unknown. Between 2000 and 2007, production fell by more than 26%, from 972,000 to 714,800 barrels per day. Production has recovered to 816,000 barrels in 2009, and 930,000 barrels per day in 2012. Oman's natural gas reserves are estimated at 849.5 billion cubic meters, ranking 28th in the world, and production in 2008 was about 24 billion cubic meters per year. Oman has one of the most diverse environments in the Middle East with various tourist attractions and is particularly well known for cultural tourism. Muscat, the capital of Oman, was named the second best city to visit in the world in 2012 by the travel guide publisher Lonely Planet. Muscat also was chosen as the Capital of Arab Tourism of 2012. As of 2014, Oman's population is over 4 million, with 2.23 million Omani nationals and 1.76 million expatriates. The total fertility rate in 2011 was estimated at 3.70. Oman has a very young population, with 43 percent of its inhabitants under the age of 15. Nearly 50 percent of the population lives in Muscat and the Batinah coastal plain northwest of the capital. Omani people are predominantly of Arab, Baluchi and African origins. The Oman government does not keep statistics on religious affiliation, but virtually all Omanis are Muslims, most of whom follow the Ibadi School of Islam, followed by the Shafi`i school of Sunni Islam. Virtually all non-Muslims in Oman are foreign workers. Non-Muslim religious communities include various groups of Jains, Buddhists, Zoroastrians, Sikhs, Jews, Hindus and Christians. Christian communities are centred in the major urban areas of Muscat, Sohar, and Salalah. These include Catholic, Eastern Orthodox, and various Protestant congregations, organizing along linguistic and ethnic lines. More than 50 different Christian groups, fellowships, and assemblies are active in the Muscat metropolitan area, formed by migrant workers from Southeast Asia. In March 2016 archaeologists working off Al Hallaniyah Island identified a shipwreck believed to be that of the Esmeralda from Vasco da Gama's 1502–1503 fleet. The wreck was initially discovered in 1998. Later underwater excavations took place between 2013 and 2015 through a partnership between the Oman Ministry of Heritage and Culture and Bluewater Recoveries Ltd., a shipwreck recovery company. The vessel was identified through such artifacts as a "Portuguese coin minted for trade with India (one of only two coins of this type known to exist) and stone cannonballs engraved with what appear to be the initials of Vincente Sodré, da Gama's maternal uncle and the commander of the Esmeralda." As of 2014 women reserve wearing their traditional dress for special occasions, and instead wear a loose black cloak called an abaya over their personal choice of clothing, whilst in some regions, particularly amongst the Bedouin, the burqa is still worn. Women wear hijab, and though some women cover their faces and hands, most do not. The Sultan has forbidden the covering of faces in public office. Music of Oman is extremely diverse due to Oman's imperial legacy. There are over 130 different forms of traditional Omani songs and dances. The Oman Centre for Traditional Music was established in 1984 to preserve them. In 1985, Sultan Qaboos founded the Royal Oman Symphony Orchestra, an act attributed to his love for classical music. Instead of engaging foreign musicians, he decided to establish an orchestra made up of Omanis. On 1 July 1987 at the Al Bustan Palace Hotel's Oman Auditorium the Royal Oman Symphony Orchestra gave its inaugural concert. The cinema of Oman is very small, there being only one Omani film Al-Boom (2006) as of 2007. Oman Arab Cinema Company LLC is the single largest motion picture exhibitor chain in Oman. It belongs to the Jawad Sultan Group of Companies, which has a history spanning more than 40 years in the Sultanate of Oman. In popular music, a seven-minute music video about Oman went viral, achieving 500,000 views on YouTube within 10 days of being released on YouTube in November 2015. The a cappella production features three of the region's most popular talents: Kahliji musician Al Wasmi, Omani poet Mazin Al-Haddabi and actress Buthaina Al Raisi. Sultanate of Oman Television began broadcasting for the first time from Muscat on 17 November 1974 and separately from Salalah on 25 November 1975. On 1 June 1979, the two stations at Muscat and Salalah linked by satellite to form a unified broadcasting service. In order to overcome the natural obstacles created by the mountainous terrain, a network of stations spread across the country in both populated and remote areas transmit Oman TV's broadcasts. Oman has fewer restrictions on independent media than its neighbors Saudi Arabia or Yemen. The press freedom group Reporters Without Borders ranked the country 125th out of 180 countries on its 2016 World Press Freedom Index, one spot below Zimbabwe. However, in 2016, the government drew international criticism for closing the newspaper Azamn and arresting three journalists after a report about corruption in the country's judiciary. Omani cuisine is diverse and has been influenced by many cultures. Omanis usually eat their main daily meal at midday, while the evening meal is lighter. During Ramadan, dinner is served after the Taraweeh prayers, sometimes as late as 11 pm. However these dinner timings differ according to each family – for instance, some families would choose to eat right after maghrib prayers and have dessert after taraweeh. Arsia, a festival meal served during celebrations, consists of mashed rice and meat (sometimes chicken). Another popular festival meal, shuwa, consists of meat cooked very slowly (sometimes for up to 2 days) in an underground clay-oven. The meat becomes extremely tender and it is infused with spices and herbs before cooking to give it a very distinct taste. Fish is often used in main dishes too, and the kingfish is a popular ingredient. Mashuai is a meal consisting of a whole spit-roasted kingfish served with lemon rice. Rukhal bread is a thin, round bread originally baked over a fire made from palm leaves. It is eaten at any meal, typically served with Omani honey for breakfast or crumbled over curry for dinner. Chicken, fish, and lamb or mutton are regularly used in dishes. The Omani halwa is a very popular sweet, basically consisting of cooked raw sugar with nuts. There are many different flavors, the most popular ones being the black halwa (original) and the saffron halwa. Halwa is considered as a symbol of Omani hospitality, and is traditionally served with coffee. As is the case with most Arab States of the Persian Gulf, alcohol is only available over-the-counter to non-Muslims. Muslims can still purchase alcoholic drinks. Alcohol is served in many hotels and a few restaurants. In October 2004, the Omani government set up a Ministry of Sports Affairs to replace the General Organization for youth, sports and cultural affairs. The 19th Arabian Gulf Cup, the 19th edition, took place in Muscat, from 4 to 17 January 2009 and was won by the Omani national football team. The 23rd Arabian Gulf Cup, the 23rd edition, that took place in Kuwait, from 22 December 2017 until January 5th 2018. Oman won their second title, defeating the United Arab Emirates in the final on penalties following a goalless draw. Ali Al-Habsi is an Omani professional association football player. As of 2015, he plays in the Football League Championship as a goalkeeper for Reading. The International Olympic Committee awarded the former GOYSCA its prestigious prize for Sporting excellence in recognition of its contributions to youth and sports and its efforts to promote the Olympic spirit and goals. Life expectancy at birth in Oman was estimated to be 76.1 years in 2010. As of 2010, there were an estimated 2.1 physicians and 2.1 hospital beds per 1,000 people. In 1993, 89% of the population had access to health care services. In 2000, 99% of the population had access to health care services. During the last three decades, the Oman health care system has demonstrated and reported great achievements in health care services and preventive and curative medicine. In 2001, Oman's health system was ranked number 8 by the World Health Organization. ^ "Cabinet Ministers". Government of Oman. Archived from the original on 22 December 2013. https://web.archive.org/web/20131222023634/http://www.omanet.om/english/government/ministers.asp?cat=gov. Retrieved 13 October 2010. ^ "Oman". Oman. MSN Encarta. 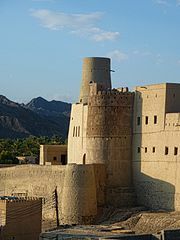 http://encarta.msn.com/encyclopedia_761561099_7/Oman.html. "In 751 Ibadi Muslims, a moderate branch of the Kharijites, established an imamate in Oman. Despite interruptions, the Ibadi imamate survived until the mid-20th century.". ^ "World Population Prospects: The 2017 Revision" (custom data acquired via website). United Nations Department of Economic and Social Affairs, Population Division. https://esa.un.org/unpd/wpp/DataQuery/. ^ "Final Results of Census 2010". National Center for Statistics & Information. Archived from the original on 18 May 2013. https://web.archive.org/web/20130518190005/http://www.ncsi.gov.om/documents/Census_2010.pdf. Retrieved 7 January 2012. ^ a b c d "Oman". International Monetary Fund. http://www.imf.org/external/pubs/ft/weo/2017/01/weodata/weorept.aspx?pr.x=59&pr.y=6&sy=2017&ey=2022&scsm=1&ssd=1&sort=country&ds=.&br=1&c=449&s=NGDPD%2CNGDPDPC%2CPPPGDP%2CPPPPC%2CLP&grp=0&a=. ^ "2016 Human Development Report". United Nations Development Programme. 2016. http://hdr.undp.org/sites/default/files/hdr_2016_statistical_annex.pdf. Retrieved 21 August 2017. ^ a b (2012) "The ethnic label Zinjibari: Politics and language choice implications among Swahili speakers in Oman". Ethnicities 12 (3): 335–353. DOI:10.1177/1468796811432681. ^ a b c d e f g h i j k l m n o p q r s t u v w x y z aa ab ac ad "Country Report: Oman". BTI Project. 2016. http://www.bti-project.org/en/reports/country-reports/detail/itc/OMN/. Retrieved 19 August 2016. ^ "Arab uprising: Country by country – Oman". BBC News. 2013. https://www.bbc.com/news/world-12598273. Retrieved 29 December 2014. ^ a b "Oman profile – Overview". BBC News. 11 September 2012. https://www.bbc.co.uk/news/world-middle-east-14654150. Retrieved 18 January 2013. ^ "Private sector gets Omanisation targets". Gulf News. 13 February 2011. http://gulfnews.com/business/economy/private-sector-gets-omanisation-targets-1.761024. Retrieved 18 January 2013. ^ "Five Arab states among top leaders in long-term development gains". Hdr.undp.org. 4 November 2010. Archived from the original on 9 November 2013. https://web.archive.org/web/20131109205813/http://hdr.undp.org/en/mediacentre/news/announcements/title,21573,en.html. Retrieved 29 October 2011. ^ "Global Peace Index: 2017". Global Peace Index and Institute for Economics and Peace. p. 11. http://visionofhumanity.org/app/uploads/2017/06/GPI17-Report.pdf. Retrieved 5 December 2017. ^ (2011) "The Nubian Complex of Dhofar, Oman: An African Middle Stone Age Industry in Southern Arabia". PLoS ONE 6 (11): e28239. DOI:10.1371/journal.pone.0028239. PMID 22140561. ^ Jeffrey I. Rose et al., The Nubian Complex of Dhofar, Oman: An African Middle Stone Age Industry in Southern Arabia, Plos November 30, 2011 DOI: 10.1371/journal.pone.0028239. ^ "Digging in the Land of Magan – Archaeology Magazine Archive". Archive.archaeology.org. http://archive.archaeology.org/9705/abstracts/magan.html. Retrieved 14 January 2014. ^ "Oman: The Lost Land". Saudi Aramco World. March 1983. http://www.saudiaramcoworld.com/issue/198303/oman-the.lost.land.htm. Retrieved 14 January 2014. ^ "Oman: A History". Saudi Aramco World. March 1983. http://www.saudiaramcoworld.com/issue/198303/oman-a.history.htm. Retrieved 14 January 2014. ^ Feuerstein, Georg; Kak, Subhash & Frawley, David (2005). The Search of the Cradle of Civilization: New Light on Ancient India. Motilal Banarsidass Publisher. p. 119. ISBN 8120820371. https://books.google.com/books?id=wNlsRZh3rwgC&pg=PA119. ^ "History of OMAN". Historyworld.net. http://www.historyworld.net/wrldhis/PlainTextHistories.asp?historyid=ad54. Retrieved 17 April 2010. ^ "Oman". United States Department of State. 31 March 2010. https://www.state.gov/r/pa/ei/bgn/35834.htm. Retrieved 9 July 2010. "Oman adopted Islam in the seventh century A.D., during the lifetime of Muhammad." ^ a b Benjamin Plackett (30 March 2017). "Omani Music Masks A Slave Trading Past". Al-Fanar Media. http://www.al-fanarmedia.org/2017/03/omani-music-masks-unpleasant-past/. Retrieved 17 July 2017. ^ Cowasjee, Ardeshir (11 September 2005). "DAWN – Cowasjee Corner; September 11, 2005". DAWN Group of Newspapers. Archived from the original on 9 June 2010. https://web.archive.org/web/20100609072245/http://www.dawn.com.pk/weekly/cowas/20050911.htm. Retrieved 27 July 2010. ^ a b Meagher, John. "The Jebel Akhdar War Oman 1954–1959". Global Security. http://www.globalsecurity.org/military/library/report/1985/MJB.htm. Retrieved 9 April 2012. ^ a b c "Jebel Akhdar". Britain's Small Wars. Archived from the original on 17 September 2013. https://web.archive.org/web/20130917071704/http://www.britains-smallwars.com/SAS/JebelAkhdar.html. Retrieved 10 April 2012. ^ Peterson, John E. (1978). Oman in the Twentieth Century: Political Foundations of an Emerging State. Croom Helm. p. 182. ISBN 9780856646294. https://books.google.com/books?id=YsUOAAAAQAAJ&pg=PA182. ^ a b Ryan, Mike (2003). Secret Operations of the Sas. Zenith Imprint. pp. 68–70. https://books.google.com/books?id=Z8fiduMeiYAC&pg=PA68. ^ a b c Owtram, Francis (2004). A Modern History of Oman: Formation of the State since 1920. I.B.Tauris. p. 106. https://books.google.com/books?id=41h0bXfVtfYC&pg=PA106. ^ The Last Imam of Oman has Died in Saudi Arabia, CNN Arabic. ^ Nicolin, Beatrice (25 May 1998). "International trade networks: The Omani Enclave of Gwadar – Conference on German and International Research on Oman, Bonn 1998: abstracts". Bonn: Conference on German and International Research on Oman. http://www.oman.org/bonn_007.htm. Retrieved 27 July 2010. ^ "Happy and rich in an Omani toytown". The Economist. 31 August 2000. http://www.economist.com/node/354276?zid=308&ah=e21d923f9b263c5548d5615da3d30f4d. ^ "Oman profile – Timeline". BBC News. 11 September 2012. https://www.bbc.co.uk/news/world-middle-east-14654492. Retrieved 18 January 2013. ^ "Oman Geography 2007". http://home.kpn.nl/~lilian_schreurs/GeologyOman/Geography.htm. ^ "Expedition Report: Dhofar Mountains Oman" (in en-US). 2011-04-30. http://thenextchallenge.org/dhofar-mountains-oman/. ^ a b Krogh, Jan S.. "Oman". jankrogh.com. http://geosite.jankrogh.com/oman.htm. ^ "United Arab Emirates". http://geosite.jankrogh.com/nahwa.htm. ^ "Muscat (Seeb) Climate – Climate of Muscat (Seeb) Oman | World Climates". http://www.world-climates.com/city-climate-muscat-seeb-oman-asia/. ^ "Oman—Country Pasture/Forage Resource Profiles". Food and Agriculture Organization. http://www.fao.org/ag/AGP/AGPC/doc/Counprof/oman/oman.htm. ^ "Salalah Climate – Climate of Salalah Oman | World Climates". http://www.world-climates.com/city-climate-salalah-oman-asia/. ^ "UNESCO World Heritage Center – Oman's Arabian Oryx Sanctuary : first site ever to be deleted from UNESCO's World Heritage List". UNESCO. http://whc.unesco.org/en/news/362. Retrieved 17 April 2010. ^ Ettinger, Powell. "Whales and dolphins of Oman – Dolphins, Humpbacks and Blue whales!". http://www.wildlifeextra.com/go/whales/oman-whales_dolphins.html#cr. ^ "Q&A: Elections to Oman's Consultative Council". BBC News. https://www.bbc.co.uk/news/world-middle-east-15288960. ^ "Oman". Freedom House. http://www.freedomhouse.org/country/oman. Retrieved 18 January 2013. ^ "OMAN Majles A'Shura (Consultative Council)". Inter-Parliamentary Union. http://www.ipu.org/parline-e/reports/2378_E.htm. ^ "Oman". Freedom in the World 2012. Freedom House. http://www.freedomhouse.org/report/freedom-world/2012/oman. ^ a b "Waking up too". The Economist. 23 June 2012. http://www.economist.com/node/21557354. ^ Stork, Joe (19 December 2012). "Human rights in the smaller Persian Gulf states: Bahrain, Kuwait, Oman, Qatar and UAE". NOREF. Archived from the original on 8 March 2014. https://web.archive.org/web/20140308194615/http://www.peacebuilding.no/Regions/Middle-East-and-North-Africa/The-Gulf/Publications/Human-rights-in-the-smaller-Gulf-states-Bahrain-Kuwait-Oman-Qatar-and-UAE. Retrieved 18 January 2013. ^ "Basic Statute of the State". Royal Decree 101/96. Ministry of Legal Affairs. Archived from the original on 23 July 2013. https://web.archive.org/web/20130723131521/http://mola.gov.om/Nen.pdf. Retrieved 18 August 2012. ^ "Amendment to Some of the Provisions of the Basic Statute of the State". Royal Decree 99/2011. Ministry of Legal Affairs. Archived from the original on 17 January 2013. https://web.archive.org/web/20130117012153/http://www.mola.gov.om/maraseem/948/99-2011.pdf. ^ a b "Country Profiles (Legislature) – Oman". Arab Parliaments. Archived from the original on 5 June 2012. https://web.archive.org/web/20120605011017/http://www.arabparliaments.org/countries/country.aspx?cid=13. ^ a b "Legislative Branch". The World Factbook. https://www.cia.gov/library/publications/the-world-factbook/fields/2101.html. ^ a b "Torture in Oman". Gulf Center for Human Rights. 2014. http://www.gc4hr.org/report/view/20. Retrieved 29 December 2014. ^ "Torture in Oman". Gulf Center for Human Rights. 2014. http://www.gc4hr.org/news/view/579. Retrieved 29 December 2014. "The practice of torture is widespread in Oman state penal institutions and has become the state’s knee jerk reaction to independent political expression, the Gulf Centre for Human Rights (GCHR) says in a report published today"
^ a b c "BTI 2014 – Oman Country Report". BTI Project. 2014. Archived from the original on 28 December 2014. https://web.archive.org/web/20141228234844/http://www.bti-project.org/reports/country-reports/mena/omn/index.nc. Retrieved 29 December 2014. ^ a b c d e f g h i j k l m "2013 Human Rights Reports: Oman". US Department of State. 2014. https://www.state.gov/j/drl/rls/hrrpt/2013/nea/220371.htm. Retrieved 29 December 2014. 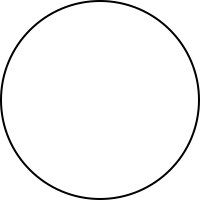 ^ a b c d e f g h i j k l m n o p q r s Whitaker, Brian (2011). "Oman's Sultan Qaboos: a classy despot". The Guardian. https://www.theguardian.com/commentisfree/2011/mar/04/oman-sultan-qaboos-despot. Retrieved 29 December 2014. ^ "Country Report: Oman". BTI Project. 2016. p. 12. https://www.bti-project.org/fileadmin/files/BTI/Downloads/Reports/2016/pdf/BTI_2016_Oman.pdf. ^ a b "Oman – Enforced disappearance of human rights defender Mr Mohamed Al Fazari". Front Line Defenders. 2014. Archived from the original on 28 December 2014. https://web.archive.org/web/20141228173444/http://www.frontlinedefenders.org/node/27072. Retrieved 29 December 2014. ^ a b c d e f "Human rights". amnesty.org. https://www.amnesty.org/ar/documents/mde20/2192/2015/en. ^ a b c "Oman: Enforced disappearance of a Yemeni citizen, Abdulrahman Ali Salem Mohammed, for more than six months". Archived from the original on 6 March 2016. https://web.archive.org/web/20160306215859/http://en.alkarama.org/oman/1239-oman-enforced-disappearance-of-a-yemeni-citizen-abdulrahman-ali-salem-mohammed-for-more-than-six-months. ^ a b "Actor Sadiq AlShaabani: Arrested in Oman, Handed to Bahrain Authorities, Subjected to Enforced Disappearance". Bahrain Center for Human Rights. 2014. http://bahrainrights.org/en/node/6748. Retrieved 29 December 2014. ^ Susan Al Shahri (2012). "A Taboo Subject: The Desperate Plight of Domestic Workers in Oman". Mideast Posts. http://mideastposts.com/showcase/a-taboo-subject-the-desperate-plight-of-domestic-workers-in-oman/. Retrieved 29 December 2014. ^ a b Susan Mubarak (2012). "Things We Don’t Talk About". Muscat Daily. http://www.muscatdaily.com/Archive/Stories-Files/Things-We-Don-t-Talk-About. Retrieved 29 December 2014. ^ "Is Any Country in The Middle East Safe for Migrant Workers?". migrantrights.org. 2011. http://www.migrant-rights.org/research/is-any-country-in-the-middle-east-safe-for-migrant-workers/. Retrieved 29 December 2014. ^ "An Indian ends life every sixth day in Oman". The Times of India. 2012. http://timesofindia.indiatimes.com/nri/middle-east-news/An-Indian-ends-life-every-sixth-day-in-Oman/articleshow/12934364.cms. Retrieved 29 December 2014. ^ "Migrant Rights – Research". migrantrights.org. 2013. http://www.migrant-rights.org/research/indian-migrants-commit-suicide-every-six-days-in-oman/. Retrieved 29 December 2014. ^ "Campaign in Oman to check suicide rate". Gulf News. 2012. http://gulfnews.com/news/gulf/oman/campaign-in-oman-to-check-suicide-rate-1.1046918. Retrieved 29 December 2014. ^ "Global Slavery Index findings". globalslaveryindex.com. 2014. http://www.globalslaveryindex.org/findings/. Retrieved 29 December 2014. ^ "Global Slavery Index". 2014. p. 19. Archived from the original on 1 January 2015. https://web.archive.org/web/20150101193937/http://d3mj66ag90b5fy.cloudfront.net/wp-content/uploads/2014/11/Global_Slavery_Index_2014_final_lowres.pdf. Retrieved 29 December 2014. ^ a b c d e f g h Khalid M. Al-Azri (2013). Social and Gender Inequality in Oman: The Power of Religious and Political Tradition. p. 40. ISBN 1138816795. https://books.google.com/books?id=eb6Pgy1Q0vQC&pg=PA40&lpg=PA40&dq. ^ a b c d e "Oman". CIA – The World Factbook. https://www.cia.gov/library/publications/the-world-factbook/geos/mu.html. Retrieved 29 October 2011. ^ "Oman: A Unique Foreign Policy". RAND. https://www.rand.org/pubs/research_briefs/RB2501/index1.html. Retrieved 29 October 2011. ^ "The view from the Gulf: America's quiet go-between speaks". Fox News Channel. 31 January 2012. http://www.foxnews.com/world/2012/01/31/view-from-gulf-americas-quiet-go-between-speaks/. ^ "Omani Ministers Voice Increasing Concerns Over Region's Stability". Wikileaks. Archived from the original on 15 December 2011. https://web.archive.org/web/20111215211340/http://wikileaks.ch/cable/2009/05/09MUSCAT433.html. Retrieved 29 October 2011. ^ "Oman Remains Wary Of Iranian Expansionism". Wikileaks. Archived from the original on 15 December 2011. https://web.archive.org/web/20111215175002/http://wikileaks.ch/cable/2008/08/08MUSCAT565.html. Retrieved 29 October 2011. ^ "Admiral William J. Fallon's Meeting With Sultan Qaboos". Wikileaks. Archived from the original on 27 October 2011. https://web.archive.org/web/20111027181916/http://wikileaks.ch/cable/2008/03/08MUSCAT174.html. Retrieved 29 October 2011. ^ a b c d Anthony H. Cordesman; Khalid R. Al-Rodhan (28 June 2006). "The Gulf Military Forces in an Era of Asymmetric War". Center for Strategic and International Studies. http://csis.org/files/media/csis/pubs/060728_gulf_oman.pdf. ^ "Testing times for corvette". Maritime Photographic. 15 March 2012. http://www.maritimephotographic.co.uk/blog/testing-times-for-corvette/. ^ "The SIPRI Military Expenditure Database". Stockholm International Peace Research Institute. Archived from the original on 28 March 2010. https://web.archive.org/web/20100328072123/http://milexdata.sipri.org/. Retrieved 29 October 2011. ^ "A balancing act". The Economist. 15 September 2009. http://www.economist.com/node/14442346?zid=308&ah=e21d923f9b263c5548d5615da3d30f4d. ^ "TOP LIST TIV TABLES". SIPRI. http://armstrade.sipri.org/armstrade/page/toplist.php. ^ "About Oman". National Center for Statistics & Information. Archived from the original on 31 July 2013. https://web.archive.org/web/20130731182110/http://www.ncsi.gov.om/oman.aspx. ^ "Governorates of Sultanate Of Oman". Ministry of Information, Sultanate of Oman. Archived from the original on 8 December 2013. https://web.archive.org/web/20131208143606/http://www.omanet.om/english/regions/oman.asp?cat=reg. ^ a b "Basic Statute of the State". Ministry Of Legal Affairs. Archived from the original on 26 June 2012. https://web.archive.org/web/20120626055226/http://mola.gov.om/basic_statute.pdf. ^ a b c Kharusi, N. S. (September 2011). "The English Transliteration of Place Names in Oman". Journal of Academic and Applied Studies 1 (3): 1–27. ^ "Arabia Tourism". Archived from the original on 29 April 2011. https://web.archive.org/web/20110429005816/http://oman.arabiatourism.co.uk/events/khareef-festival. ^ a b "Indian migrant workers in Oman speak to the WSWS". Wsws.org. http://www.wsws.org/articles/2005/oct2005/oman-o28.shtml. Retrieved 29 October 2011. ^ "Antony meets Indian diaspora in Oman". Thaindian.com. 18 May 2010. http://www.thaindian.com/newsportal/world-news/antony-meets-indian-diaspora-in-omam_100365941.html. Retrieved 29 October 2011. ^ "Oman: proven oil reserves". Indexmundi.com. http://www.indexmundi.com/oman/oil_proved_reserves.html. Retrieved 17 April 2010. ^ "Oman: Energy data". EIA. Archived from the original on 2 March 2011. https://web.archive.org/web/20110302093656/http://www.eia.doe.gov/cabs/Oman/Oil.html. Retrieved 16 February 2009. ^ "Home". Ministry of Oil and Gas. Archived from the original on 11 August 2013. https://web.archive.org/web/20130811004242/http://mog.gov.om/english/tabid/54/Default.aspx. ^ Gately, Dermot (1986). "Lessons from the 1986 Oil Price Collapsey". Brookings Papers on Economic Activity (2). ^ a b "Oman the comeback kid of oil". The National. 9 September 2012. Archived from the original on 31 December 2012. https://web.archive.org/web/20121231031303/http://www.thenational.ae/thenationalconversation/industry-insights/energy/oman-the-comeback-kid-of-oil. ^ "Travel & Leisure Market Research Reports and Industry Analysis". Marketresearch.com. http://www.marketresearch.com/Business-Monitor-International-v304/Oman-Tourism-Q2-6205512/. Retrieved 9 June 2013. ^ "Oman Eyes Lucrative Business Tourism Market". http://www.forbesmiddleeast.com/en/oman-eyes-lucrative-business-tourism-market/. Retrieved 26 June 2017. ^ Thomas, Babu. "Culture in Oman, Tourism". Omanet.om. Archived from the original on 25 June 2013. https://web.archive.org/web/20130625131221/http://www.omanet.om/english/tourism/culture.asp?cat=tour. Retrieved 9 June 2013. ^ I'Anson, Richard (7 June 2012). "Lonely Planet’s Best in Travel: top 10 cities for 2012 – travel tips and articles". Lonely Planet. http://www.lonelyplanet.com/england/london/travel-tips-and-articles/76861. Retrieved 9 June 2013. ^ Andy Sambidge. "Oman's population passes 4 million mark". Arabian Business. http://www.arabianbusiness.com/oman-s-population-passes-4-million-mark-547779.html. ^ a b c "Major Economic & Social Indicators". National Center for Statistics & Information. Archived from the original on 14 May 2014. https://web.archive.org/web/20140514092309/http://www.ncsi.gov.om/NCSI_website/book/mb/Dec2012/T1.pdf. ^ Judith Miller (1997). "Creating Modern Oman: An Interview with Sultan Qabus". Foreign Affairs. http://www.foreignaffairs.com/articles/53039/judith-miller/creating-modern-oman-an-interview-with-sultan-qabus. Retrieved 29 December 2014. ^ Sulaiman al-Farsi (2013). Democracy and Youth in the Middle East: Islam, Tribalism and the Rentier State in Oman. pp. 170–197. ISBN 1780760906. https://books.google.com/books?id=ghbC-V8YKyEC&pg=PA196&dq. ^ al Shaibany, Saleh (4 August 2010). "Omanis flocking to Zanzibar, their ancestral home". The National. http://www.thenational.ae/news/world/middle-east/omanis-flocking-to-zanzibar-their-ancestral-home. Retrieved 30 June 2014. 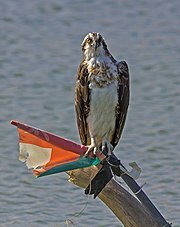 ^ "Middle East OMAN". CIA The World Factbook. https://www.cia.gov/library/publications/the-world-factbook/geos/mu.html. ^ "Oman to allow temple, gurdwara". Sify.com. 24 November 2010. http://www.sify.com/news/oman-to-allow-temple-gurdwara-news-national-klytaydgdgd.html. Retrieved 14 January 2014. ^ "Basic Information on Oman". Oman News Agency. Archived from the original on 5 December 2013. https://web.archive.org/web/20131205155257/http://www.omannews.gov.om/ona/english/Basic_Information_on_Oman.jsp. ^ "Interactive Atlas of the World's Languages in Danger". UNESCO. http://www.unesco.org/culture/languages-atlas/index.php. ^ "Oman first Gulf state to have German taught as second language". Al Arabiya. http://english.alarabiya.net/articles/2012/11/06/247981.html. ^ Salman, Amel (May 2012). "The Sound System of Lawatiyya". Journal of Academic and Applied Studies 2 (5): 36–44. ^ a b "Culture of Oman". Sultanate of Oman. http://www.omansultanate.com/culture.htm. ^ a b c d e f Common, Richard K.. "Barriers To Developing ‘Leadership' In The Sultanate Of Oman". International Journal of Leadership Studies. http://www.regent.edu/acad/global/publications/ijls/new/vol6iss2/3_Common_pp215-229_jm.pdf. ^ "The Ship Building Industry". Ministry of Tourism, Sultanate of Oman. http://www.omantourism.gov.om/wps/portal/mot/tourism/oman/detailsp/!ut/p/c4/04_SB8K8xLLM9MSSzPy8xBz9CP0os3j_oMBgNz9XEwODED9zA09PE3MTLxdjYzcnE_2CbEdFANHQ-q8!/?WCM_GLOBAL_CONTEXT=/wps/wcm/connect/mot_english_lib/mot/experience/culture/crafts/ship+building. ^ Romey, Kristin (14 March 2016). "Shipwreck Discovered from Explorer Vasco da Gama's Fleet". National Geographic. http://news.nationalgeographic.com/2016/03/20160314-oman-shipwreck-explorer-vasco-da-gama-age-of-exploration-india-route/. Retrieved 15 March 2016. ^ a b c d "Culture". Omani Students Society. http://www.omanistudents.org/oman/culture/. ^ a b "Women's Traditional Clothing". Oman Cultural Days Exhibition. Archived from the original on 9 April 2013. https://web.archive.org/web/20130409220427/http://www.omanculturaldays.com.au/exhibtion7.html. ^ "Introduction". Oman Centre for Traditional Music. Archived from the original on 15 March 2013. https://web.archive.org/web/20130315191325/http://www.octm-folk.gov.om/meng/introduction.asp. ^ "The Royal Oman Symphony Orchestra". Oman Tours. http://www.oman-tours.com/about-oman/culture-overview-crafts-architecture-music-arts/musicdance/royal-symphony-orchestra-oman/. ^ "The Royal Oman Symphony Orchestra". Oman Observer. 9 November 2010. Archived from the original on 7 May 2013. https://web.archive.org/web/20130507102754/http://main.omanobserver.om/node/29415. ^ City Cinema. ( 2014 ).About Us.Retrieved 4th of March, 2016, from "Archived copy". Archived from the original on 13 February 2016. https://web.archive.org/web/20160213140651/http://citycinemaoman.net/about_us.html. Retrieved 2016-03-03. ^ "#LoveOman video goes viral with 500, 000 views – Oman Observer" (in en-US). 2015-11-13. Archived from the original on 27 August 2016. https://web.archive.org/web/20160827031258/http://omanobserver.om/loveoman-video-goes-viral-with-500-000-views/. ^ "Introduction". Sultanate of Oman TV Site. Archived from the original on 18 January 2013. https://web.archive.org/web/20130118113316/http://www.oman-tv.gov.om/tveng/intro.asp. ^ "Sky Sports Profile". Skysports.com. Archived from the original on 14 May 2013. https://web.archive.org/web/20130514193214/http://www.skysports.com/football/player/0,19754,11672_261854,00.html. Retrieved 29 October 2011. ^ "The Beach Handball 2012 World Championships". 8 July 2012. http://www.muscatmutterings.com/2012/07/beach-handball-2012-world-championships.html. Retrieved 24 September 2012. ^ a b "Bullfighting à la Batinah". http://www.roughguides.com/destinations/middle-east/oman/al-batinah-al-dhahirah/bullfighting-%C3%A0-la-batinah/. ^ Osborne, Chrisitne. "Bullfighting: Omani Style". http://travelswithmyhat.com/culture/bullfighting-omani-style/. ^ "Serving Mangaloreans Around The World!". Mangalorean.Com. 1 May 2005. Archived from the original on 1 October 2011. https://web.archive.org/web/20111001233607/http://www.mangalorean.com/browsearticles.php?arttype=Feature&articleid=284. Retrieved 29 October 2011. ^ "Oman". Ranking Web of Universities. Archived from the original on 21 February 2014. https://web.archive.org/web/20140221185619/http://www.webometrics.info/en/aw/Oman. Retrieved 26 February 2013. ^ "World Health Organization Assesses the World's Health Systems". World Health Organization. http://www.who.int/whr/2000/media_centre/press_release/en/. Key Development Forecasts for Oman from International Futures. Joint Supplier Registration System (Initiative of Ministry of Oil & Gas, Oman). This page uses content from the English language Wikipedia. The original content was at Oman. The list of authors can be seen in the page history. As with this Familypedia wiki, the content of Wikipedia is available under the Creative Commons License.